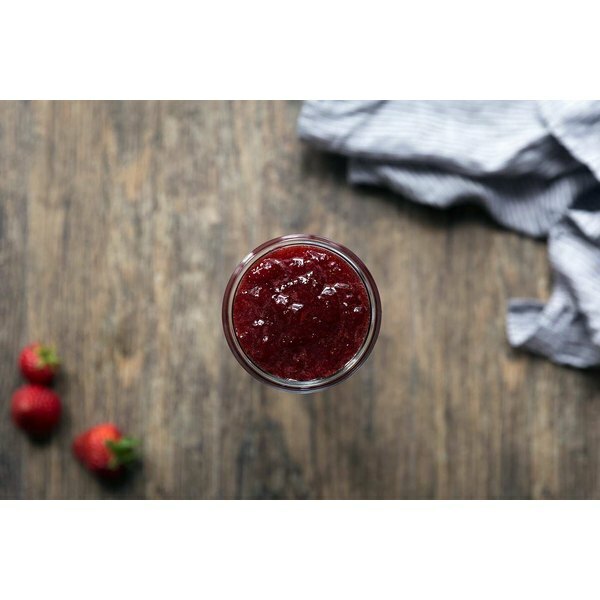 Homemade strawberry jam is incredible, especially during peak strawberry season. It's the sort of thing that, while amazing when spread on toast or buttery biscuits, is also addicting when enjoyed straight out of the jar with a spoon! Making homemade jam is a deceivingly simple process, yet the results are so gratifying and impressive. Follow this recipe and then experiment with other berries! You can even try using a mix, temporarily adding some whole spices during the cooking process (such as cinnamon sticks), or adding a splash of sweet liqueur at the end! Once you learn how to make homemade strawberry jam, the possibilities are endless. Wash, hull and chop the strawberries. Wash, hull and chop the strawberries. You can hull using either a paring knife or one of those nifty strawberry hullers, which are cheap and get the job done more quickly. If you like texture in your jam, leave larger pieces as you chop. I tend to go for a very rough chop with a mix of both large and small pieces. Everything will break down quite a bit during the cooking process. Place berries and sugar in a flat-sided skillet or pot. I like using a flat-sided skillet (also known as a sautoir), but any large pot will do. Dutch ovens are another great option. Stir the sugar to evenly coat the strawberries, then let sit for 15 minutes so the juices begin to release. At this point, place a small plate in the freezer. This will be used later to test if the jam is properly gelling. Add lemon juice and bring to a simmer. Stir in the lemon juice and place on the stove over medium heat. Bring to a simmer, stirring frequently. Liquid will slowly begin to fill the pan and eventually foam. Cook, stirring, as juices fill the pan. Continue stirring as the jam simmers until most of the liquid has evaporated or thickened up. This may take anywhere from 20 to 40 minutes. Check for signs of gelling. You can tell when the jam is almost finished by sight and sound. The bubbles will start becoming less frequent and thicker sounding. The next step is to push the spatula along the bottom of the pan and see if the bottom remains visible. Once this happens, it's time for the final test. Test on a cold plate. Remove the plate from the freezer. Draw a small amount of jam on the plate with the spatula, then place in the freezer for around 2 minutes. If it's gelled at that point, the jam is ready! Remove from the heat. The jam will continue to thicken as it cools. Store in the refrigerator for up to one month, freezer for up to three months, or can for six months (or longer). Yields approximately 4 cups.